It’s the classic fairytale: meet a handsome prince, fall in love, gain global recognition as a fashion icon, and live happily ever after. I may have tweaked the traditional story slightly, but that is certainly my fantasy and for Kate Middleton, the Duchess of Cambridge, it is a reality. A firm favourite with Vanity Fair, Middleton was included on the international best-dressed list in 2008 before achieving the number one spot on the annual list in 2010, 2011, 2012 and 2013. With the release of Prince William and Kate Middleton’s official engagement portrait in December 2010, Kate had chosen to wear a Reiss dress and Links of London white topaz earrings. Though the dress was no longer available to purchase, Reiss were inundated with so many requests the company decided to re-release the design. It proved so popular; one dress was selling online every minute until it rapidly sold out! Similarly, the earrings sold out worldwide and an international waiting list had to be created by Links of London. As the Duchess is a supporter of the high street, often choosing to wear more affordable pieces and garments produced by British designers, her style is so easy to imitate and why the Kate effect is so infectious. This was apparent when she wore a pair of coral coloured denim jeans in March 2012. It was reported sales of brightly coloured denim increased by eighty-eight percent in a matter of days, with Asda noticing due to their offering of a look alike pair retailing at only £14. Similarly, in April 2013 when she was six months pregnant, Kate wore a black and white polka dot dress on an outing. Costing £38 from Topshop, the dress sold out online within an hour of the Duchess being photographed wearing it. While the Kate effect may only be a theory, I am now fully convinced of its effectiveness, as I must confess I myself have been influenced by it. 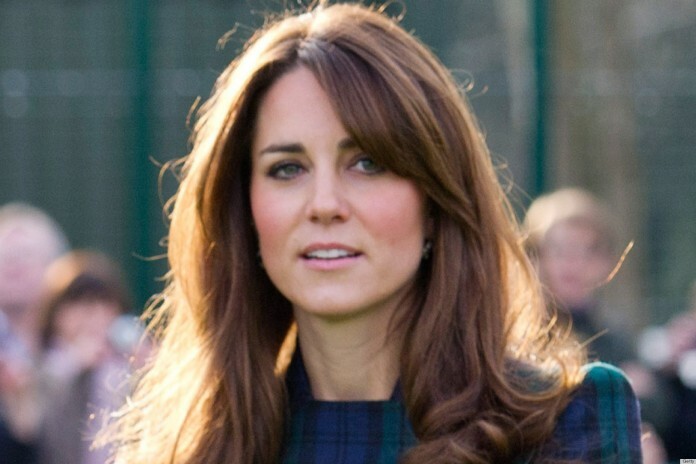 When early last month the Duchess revealed a new haircut, the change attracted a lot of press attention as Kate is known for her luscious locks. Being referred to as the ‘gringe’ or grown-out fringe, I loved the style and went straight to the hairdressers for the cut. And I’m not the only one as celebrities have followed her lead, including Holly Willoughby who impulsively had her hair cut live on This Morning when interviewing Richard Ward, the hairdresser responsible for Kate’s style. Coco Chanel once remarked that a woman who cuts her hair is about to change her life. While this might be true for myself, (maybe this will be the year I stop doing essays the night before a deadline!) I highly doubt the Kate effect will be waning any time soon.